Stay strong and don’t bonk…..
Have you asked yourself how long you been actively participating in sports? For me, it seems all my life from your typical soccer and basketball in high school to your current sports activity. I was heavily in mountain bike races and few road bike races. I had a good few years for “Pumping iron” when I was in my 90’s but compare to nutrition you need from weight lifting to high intensity sports activity is not the same. How do I compare my nutrition when I used to race mountain bike? Most races was 8-19miles totals in few laps of trail racing and my nutrition was ok. Nutrition has been massively growing compare to 18years ago. Be honest Hummer Nutrition was one of the big single sources for nutrition needs back then, Nutrition industry is everywhere now and products are innovating to perform our body at maximum. I have used many of nutrition brands for like/dislike and figuring out what works the best for me. Recent years I wanted to find new nutrition instead of older nutrition brands and/or combination I have been using it and came cross SIS (Science in Sports). Just like anybody I order the sample and test it out if I like the products. It didn’t take a long for me to say this the products I wanted to consume in my SUP racing. Bud taste to individual is different so I can not speak for all to my peeps but if you are looking for light and less sugary taste for both hydration powder and energy gel then I highly recommend to try it out. Purpose of this post is to give you an insight on what SIS has suggested for Chattajack. 500ml of GO Electrolyte + 1 Isotonic gel should cover you for an hour of exercise. 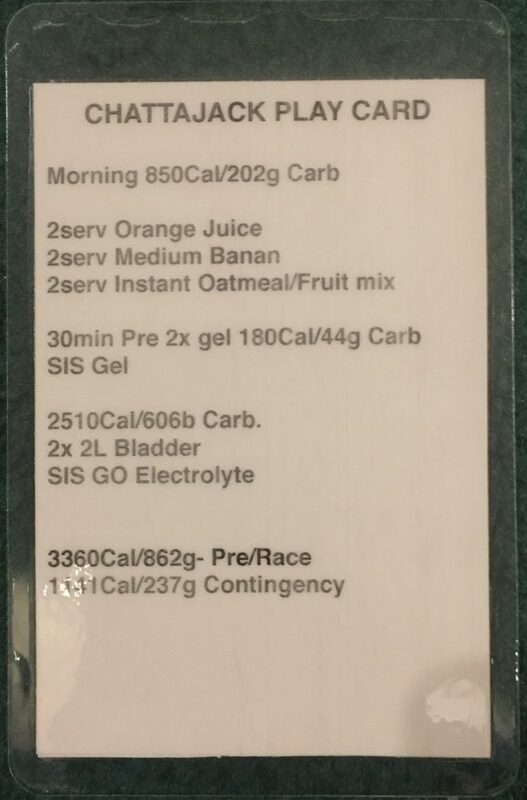 If possible I’d carry the gels as individuals as appose to emptying them into a flask – having a gel to open per hour and take is a really good mental cue to break the race into smaller chunks and tackle the distance psychologically. 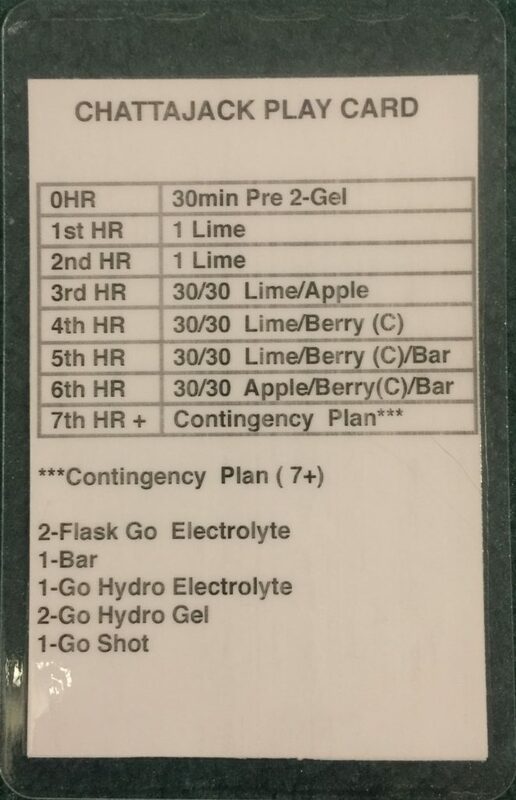 So below here is what Chattajack play card look like and I double up my gel intake from 3hrs and on. This play card was based on after few 4hrs of simulation training in L2/L3 zone. 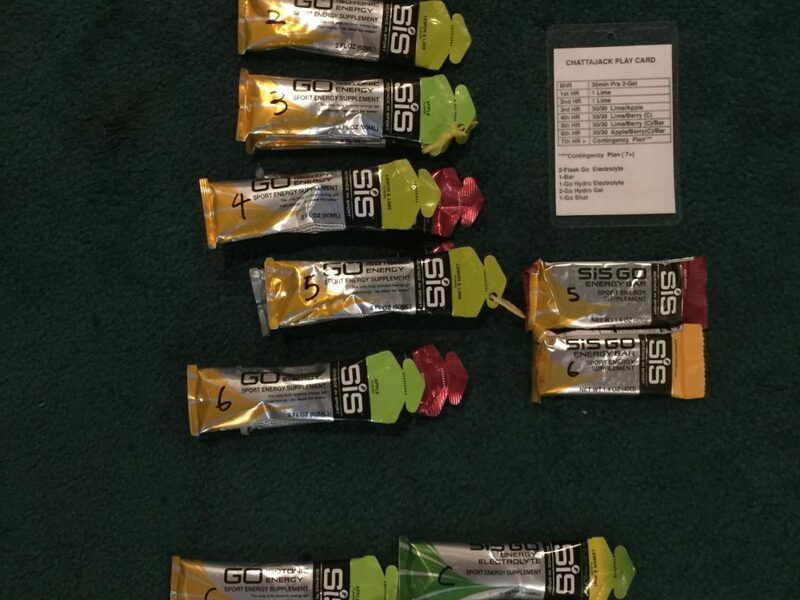 Start your race plan nutrition. Start choosing your nutrition brand that specifically works for you. I seen too many people ask “what you do you use”….. Plenty of good nutrition brand is out on the market. Matter fact that content in all the different nutrition is about the same for most part. 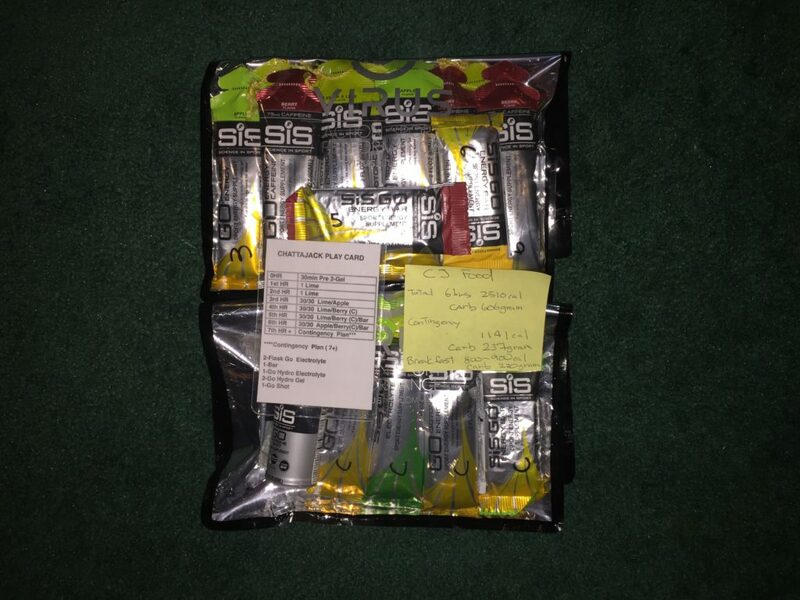 There is many reason I choose SIS for nutrition but what’s most important is to order sample and taste it. Get out there used while you are sweating and see what you choose to use is right for you. At the end of the day someone taking same nutrition may not be the right nutrition or combination of nutrition that works for you. I hope this will help you to clear some of your nutrition stress you may have to complete your next long distance races.